Sail away with me! Navy background with white sailboats, waves, and clouds. 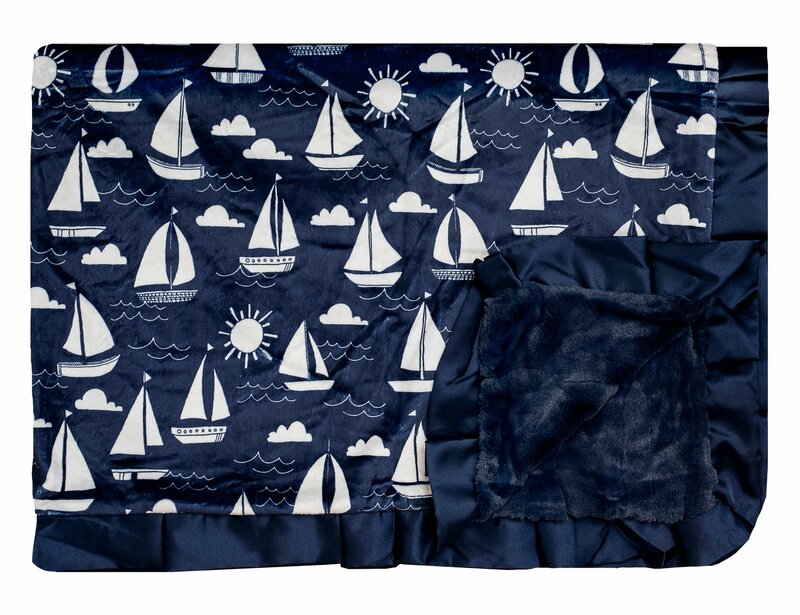 Navy minky and satin ruffle. 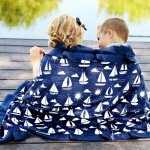 Sail Away is an exclusive design and can only be found at Minky Couture.